One of the recent beauty crazes on the market are the Caviar manicures. It's a bit like taking a tub of hundreds and thousands and sprinkling them over nail polish for a unique and extravagant manicure. I've been intrigued to try this this for a while. Many make up enthusiasts will be aware of the Ciaté versions of this which is priced at £18 (! ), however MUA (makeup academy) have brought out their own version of this called 'nail constellation' and at a very reasonably priced £3 it's a steal! Even better at the moment they are on offer for £2 at Superdrug. They come in five different shades Gemini, Libra, Leo, Scorpio and Pisces, I chose the shade 'Gemini' which is a pastel colour mix and I think it looks lovely in the bottle. The bottle itself has a funnel to enable easy application, instructions are available on the tag which is attached to the bottle. 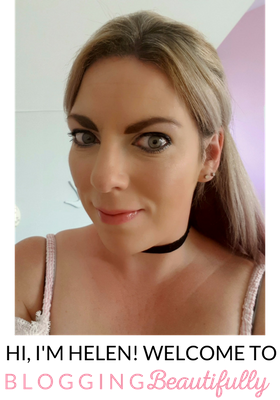 There is also a tutorial available here MUA tutorial. 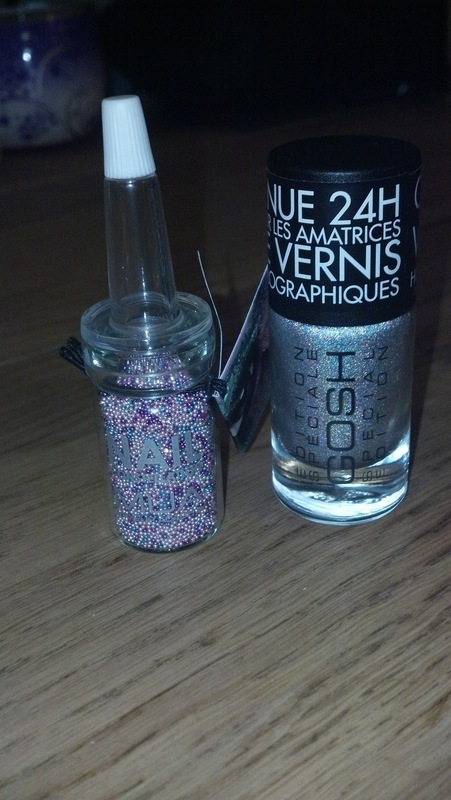 I used GOSH holographic (shade 549, holographic hero) as my base, also available from Superdrug. I decided to just use on my pinkie's so as not to waste them! In all honesty I was thinking these are never going to last, there is no way that they're going to stay on long at all (especially with an active baby, nappy changes, hand washing etc!) however I was pleasantly surprised. I took this picture after 5 hours and think they held up well. I lost a few beads in the middle but other than that they had good staying power. They are, in my opinion really only a one night type of thing as the next morning I had lost quite a few but overall I think they are a great product. I'm definitely going to be experimenting with the other colours, I think for the price you can't really go wrong and the end result is manicure with a bit of a difference. 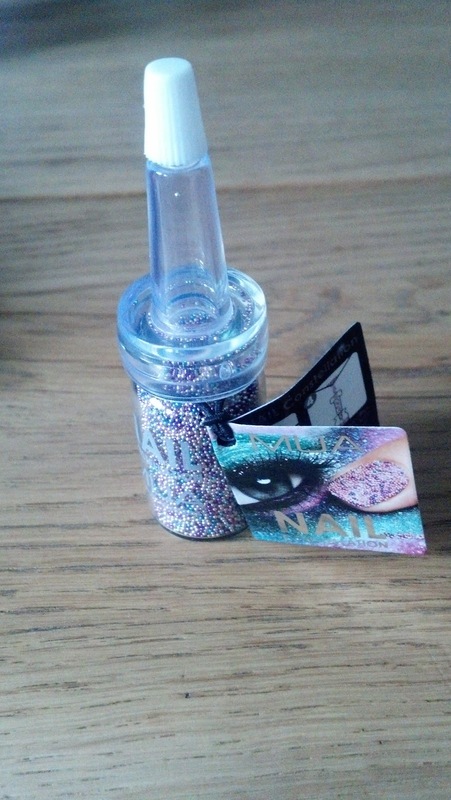 Helly's top tips: When applying, use over a dish or something similar so you can then dip the tip of the nail in to cover that (this also allows you to put the excess beads back in the bottle). 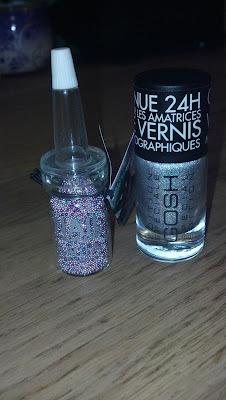 Gently press in the beads to the polish (too much pressure and you run the risk of the beads sticking to your finger!). Use a clear top coat when fully dry to ensure maximum staying power.